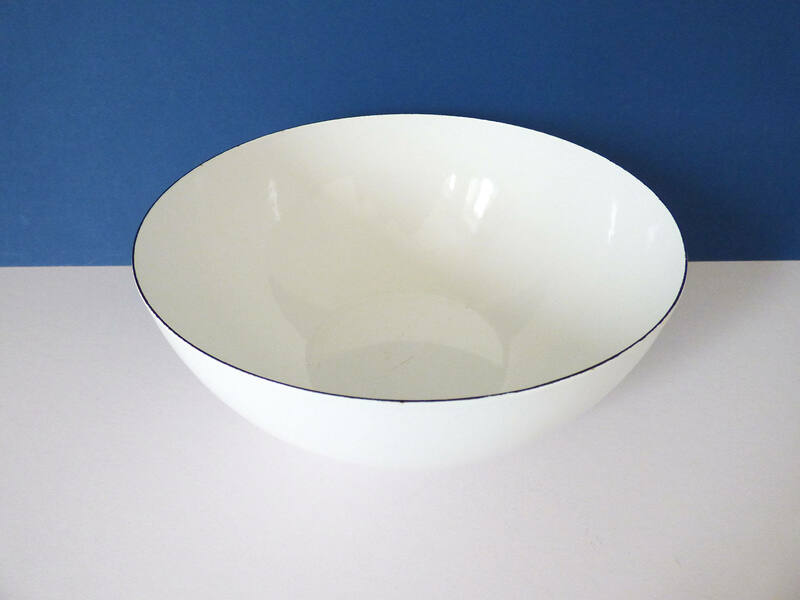 Gorgeous enamel bowl, created by Finel in the 1960's in Finland, designed by the famous Kaj Franck. 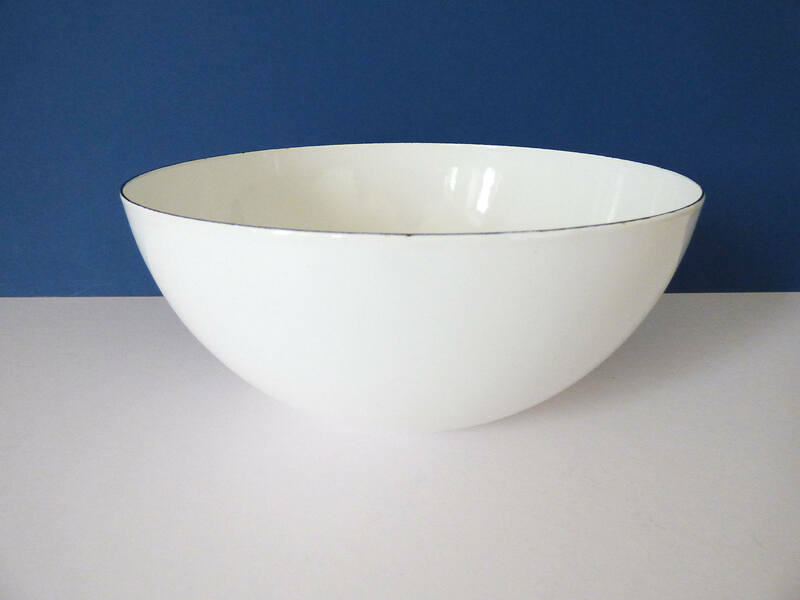 The Finel bowl is simply a design classic, modern, functional and yet truly beautiful. 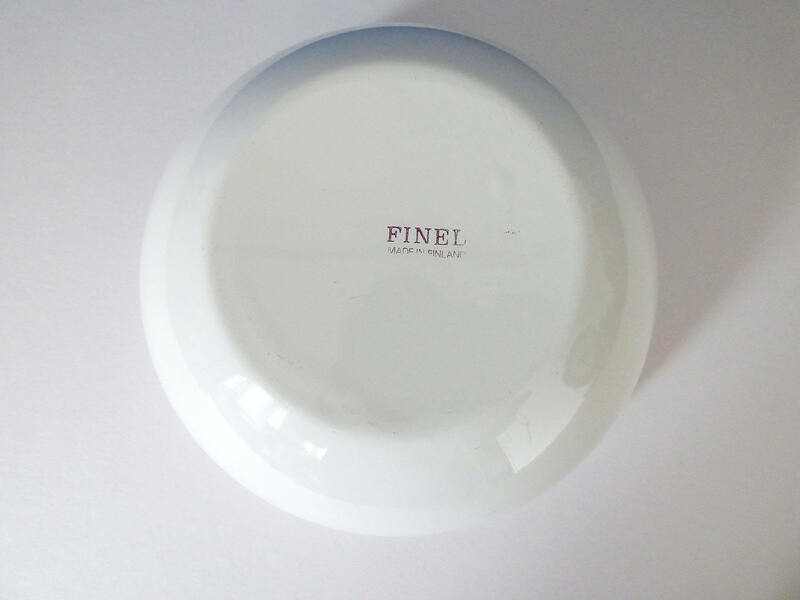 The condition is very good for a piece of this age, the bowl has obviously been used, and has a few light surface scratches to the inside, from use, very common in original Finel bowls of this age. 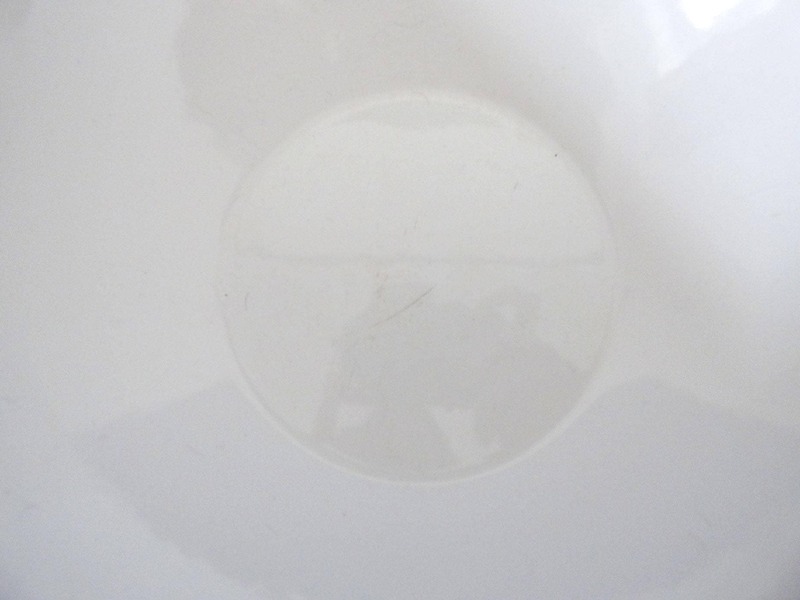 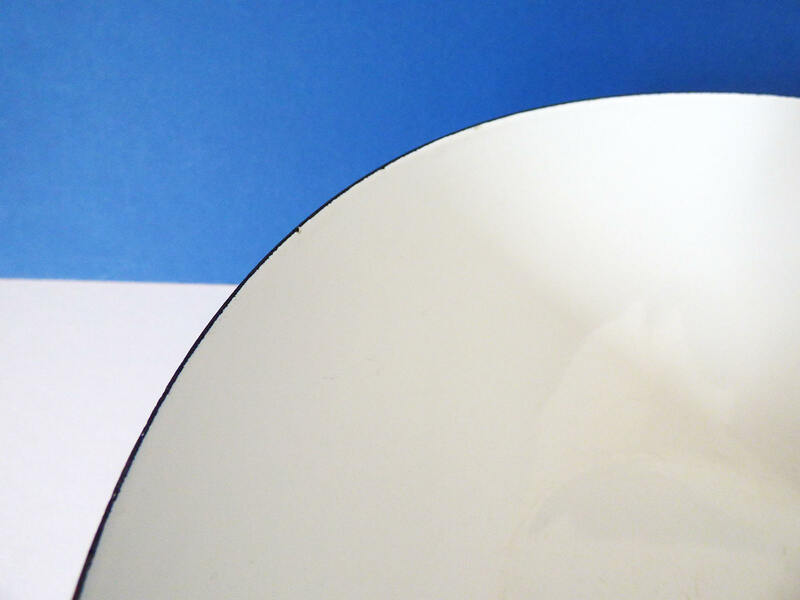 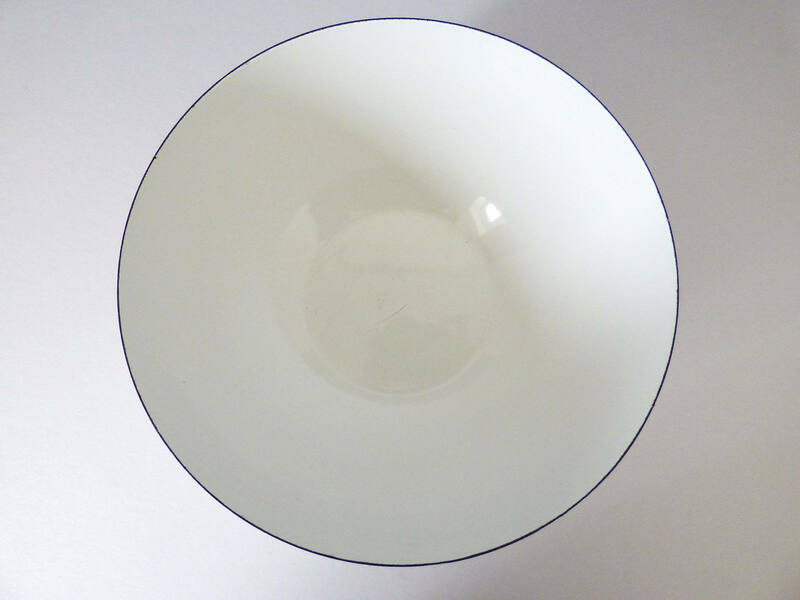 The rim of the bowl is in good condition with just a few tiny nibbles to the enamel. 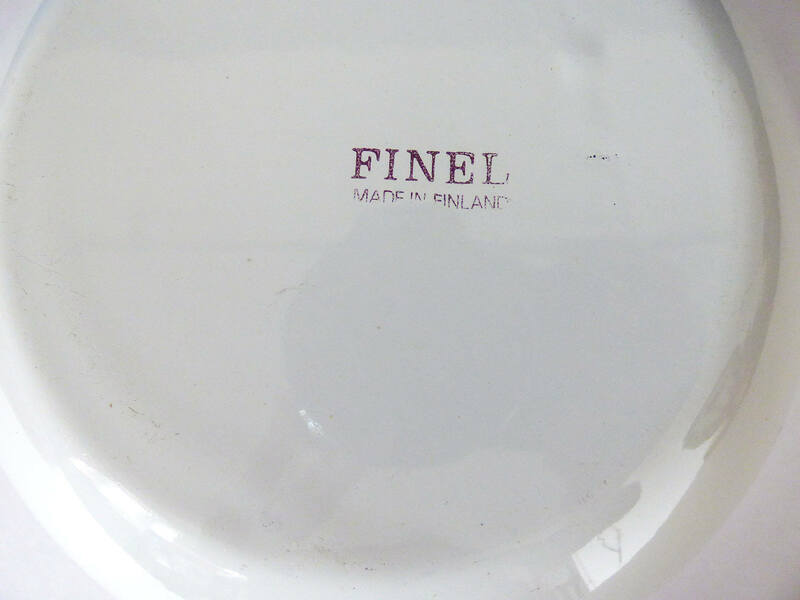 To the base, the piece is marked "Finel Made in Finland." 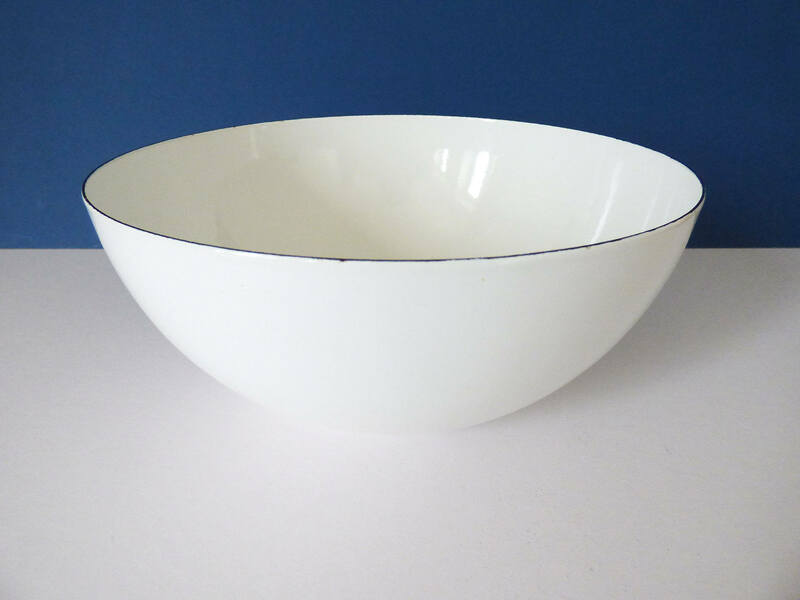 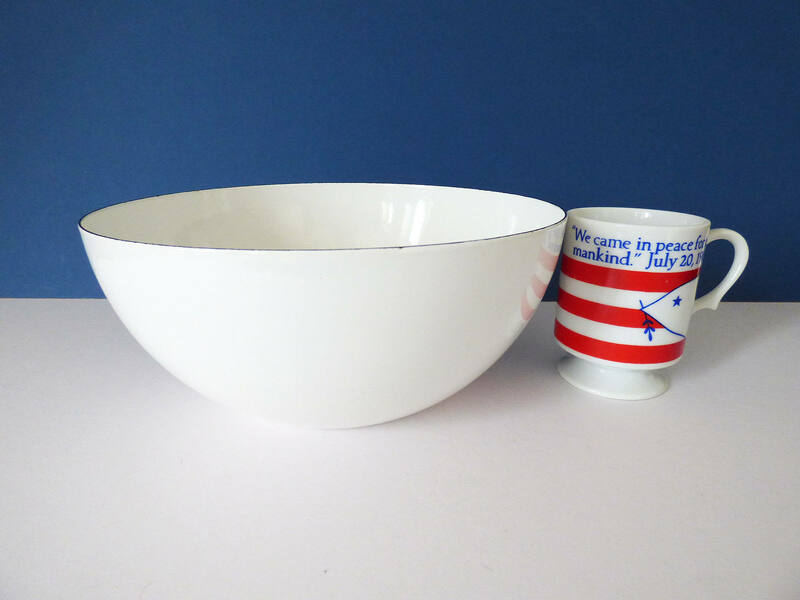 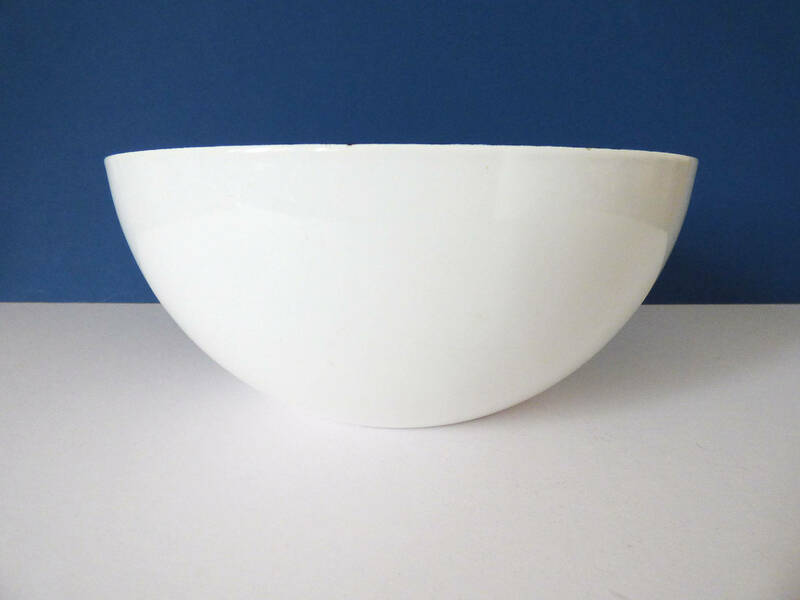 A classic piece beautiful to just display or perfect to use as a Salad bowl or Mixing bowl.